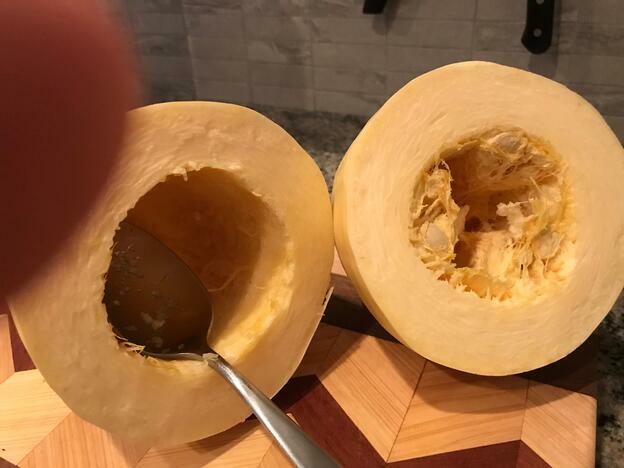 All you need to know to make a delicious winter squash. 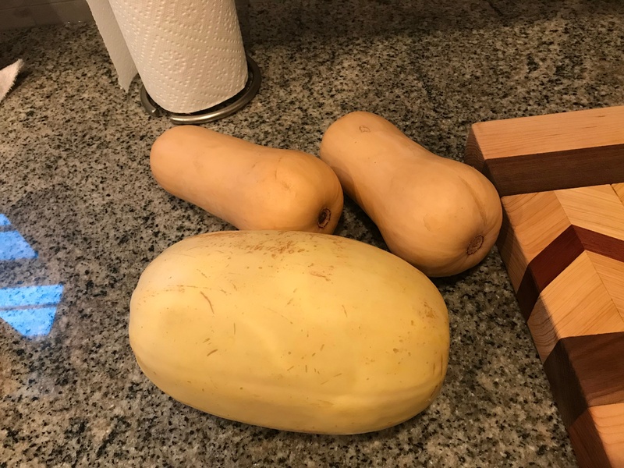 For this demonstration, I will be using a couple of butternut squash and a spaghetti squash. 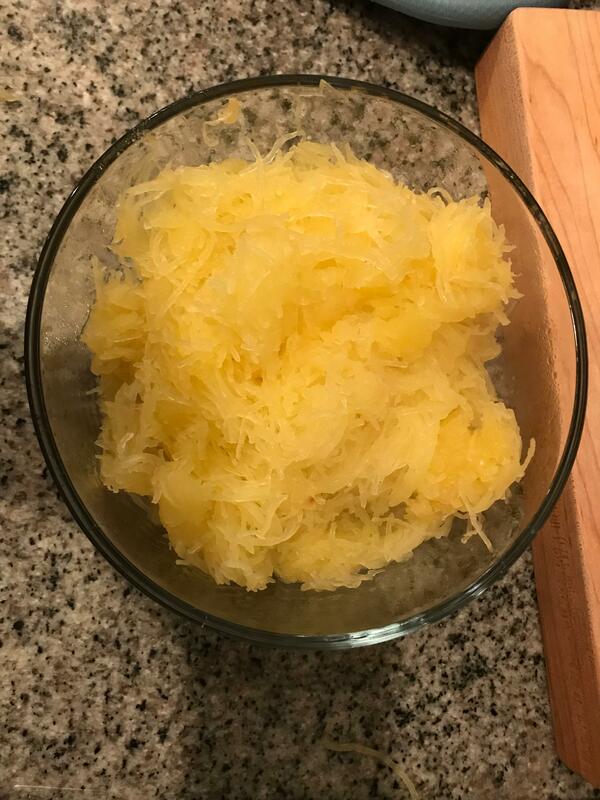 Split the squash – spaghetti squash should be halved around the center and all others halved down through their stem to the bottom. 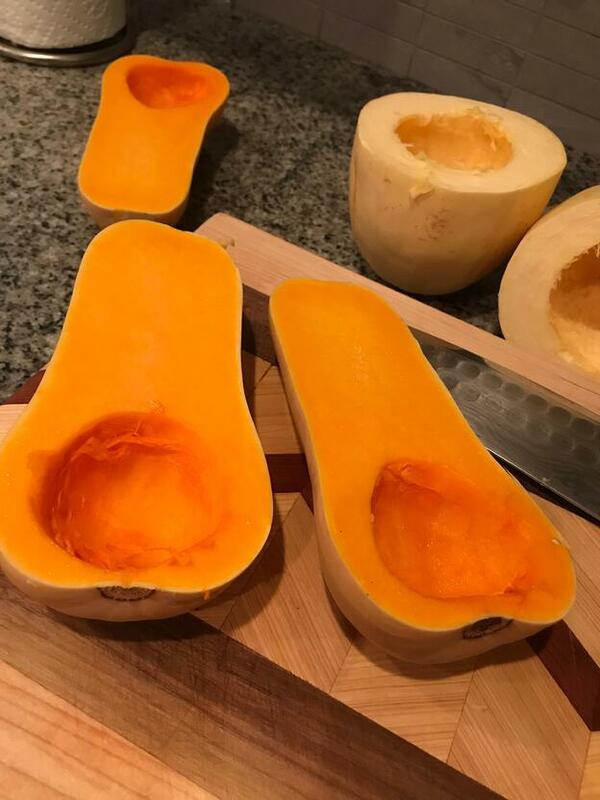 Scoop seeds out of each half. Lightly oil cut surfaces and put in oven, cut side down on a sheet pan. 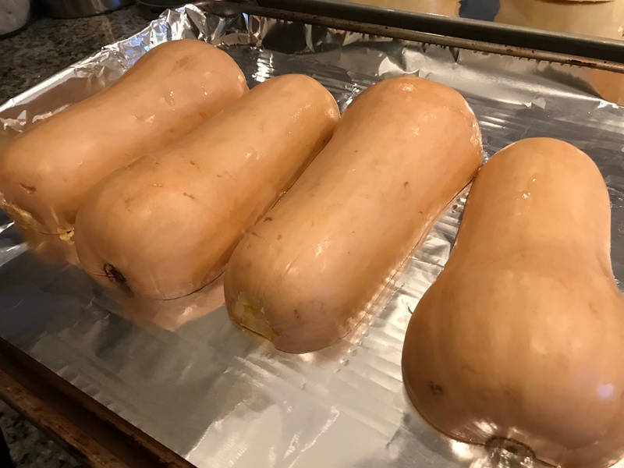 Roast in the oven until squash gives when squeezed- should be soft and leave dimples when squeezed. About 30-40 minutes. Remove from oven and allow to cool for 5 minutes before scooping from the shell. 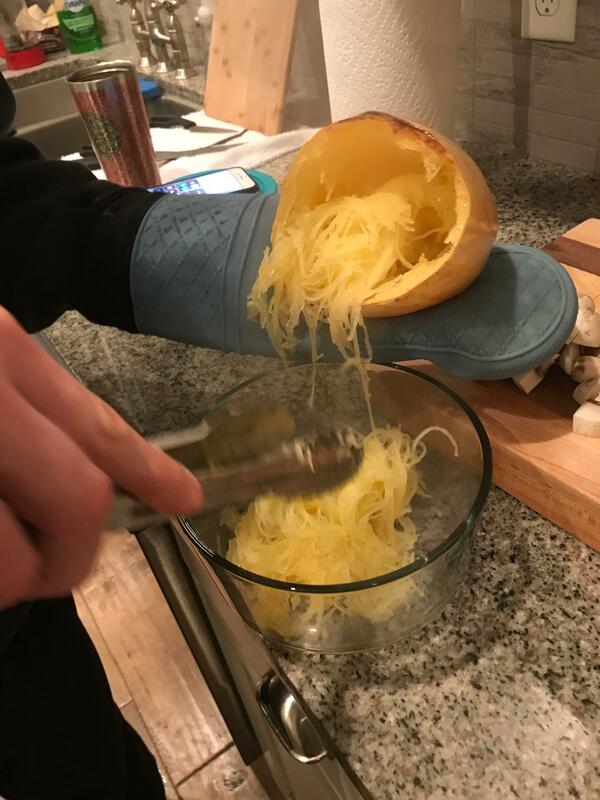 For spaghetti squash I prefer tongs, but you can use a fork. 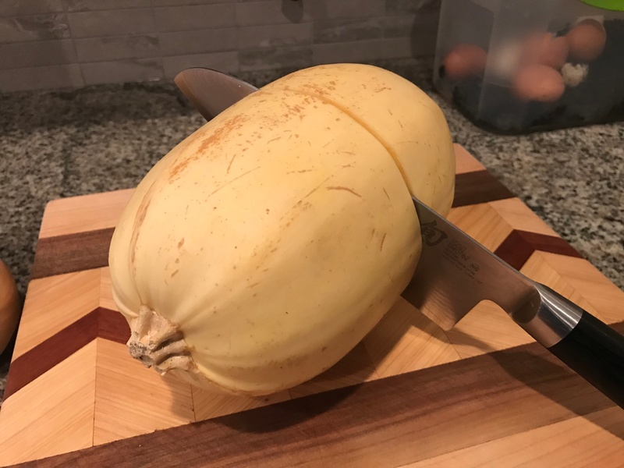 A spoon works better for most other winter squashes. At this stage, you can season and serve or chill and reheat for alter service. 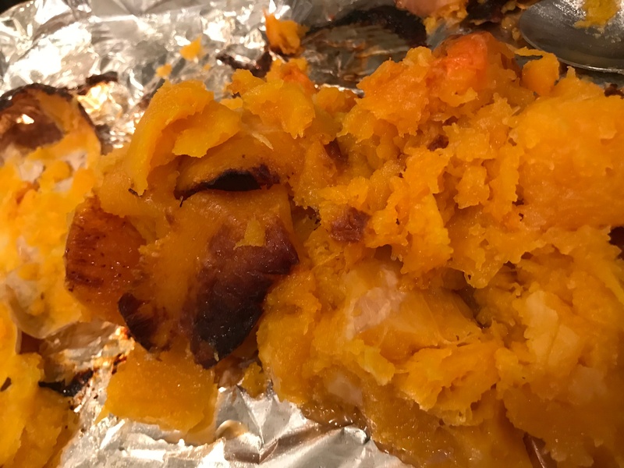 Squash is rather bland, so consider heavier seasonings and co-ingredients (caramelized onions, roasted red peppers, tomato confit, roasted garlic…).